Most of these seem like common sense and self explanatory, however I still see all 10 of these things being done on a regular basis. 1. Don’t ride when the trails are too wet. 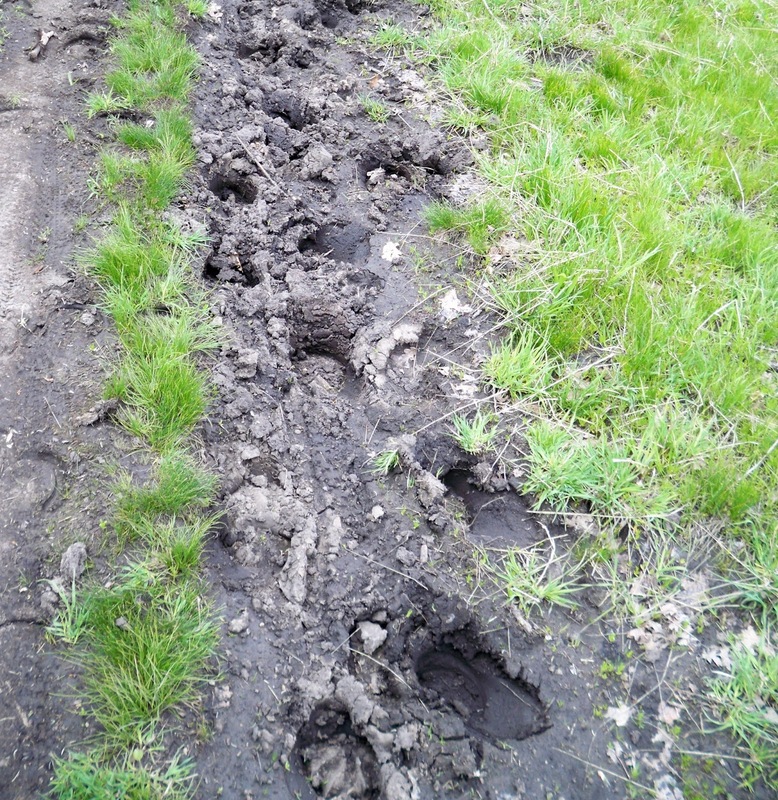 It often creates a moonscape surface that causes controversy with other trail users. This could eventually lead to trails closing to us and/or new trails being developed without allowing us access. 2. Don’t ride trails not open to horses. For the same reasons as listed above. 3. Don’t litter on the trail or at the trailhead. Pack out what you take in. 4. Don’t ride around a small muddy area. That will cause it to get bigger. Train your horse to go through it. 5. Don’t tie your horse directly to a tree, especially for long periods of time, like during a lunch stop. Impatient stomping and pawing the ground can damage the roots. 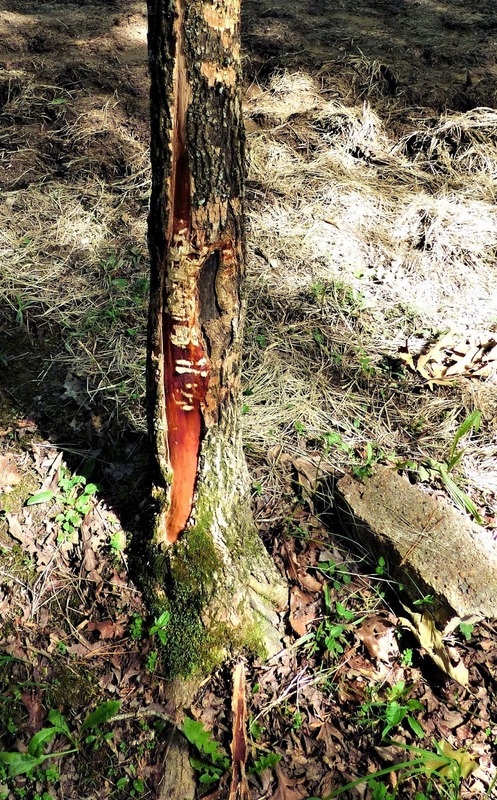 Root damage can kill the tree which later may mean a tree fallen across the trail to deal with. Bored horses may also chew the bark. 6. Don’t tie your horse too close to the trail making it hard for another trail user to safely pass by. Besides causing ill-will, this could also open you up to liability. 7. Don’t remove or move trail signs. 8. 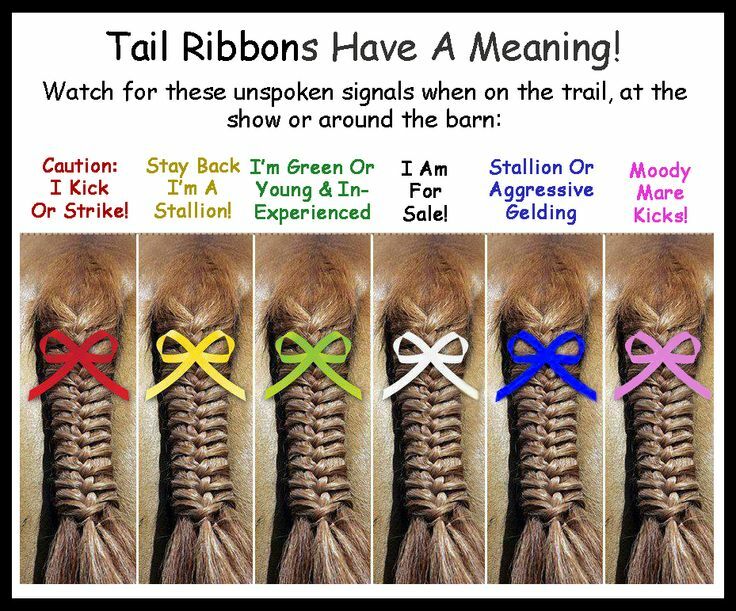 Don’t ride without a tail ribbon if your horse is a kicker (Red), a young or inexperienced horse (Green), a stallion (Blue or Yellow), or a mare in season (Pink). 9. Don’t tailgate the horse in front of you. Especially if you don’t know the horse. It might not be a known kicker, but most horses aren’t fond of horses they don’t know riding that close and can start acting up out of irritation. 10. Don’t forget to smile, say hi, and be courteous to other trail users.